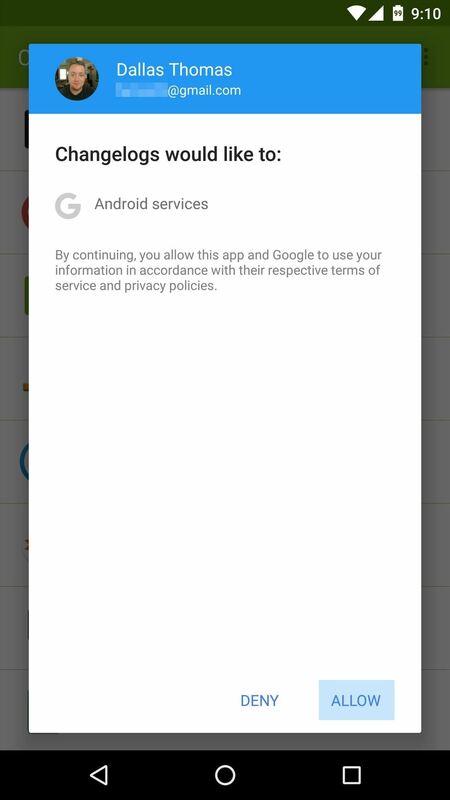 By default, the Play Store app on Android is set to automatically update your apps in the background. This definitely makes it easy to ensure that you're always running the latest versions, but it does come with some downsides. For instance, apps will occasionally have updates that completely revamp their look and feel, and if this happens automatically, you won't know the details about all of the things that have changed. Or, if an app gets an update that causes issues or bugs, you might think there's something wrong with your device instead of the app. To make it easier to keep track of the ever-evolving mobile app industry, the team at Thundercloud Development has created a simple tool that lets you view the recent changelogs for all of your apps. 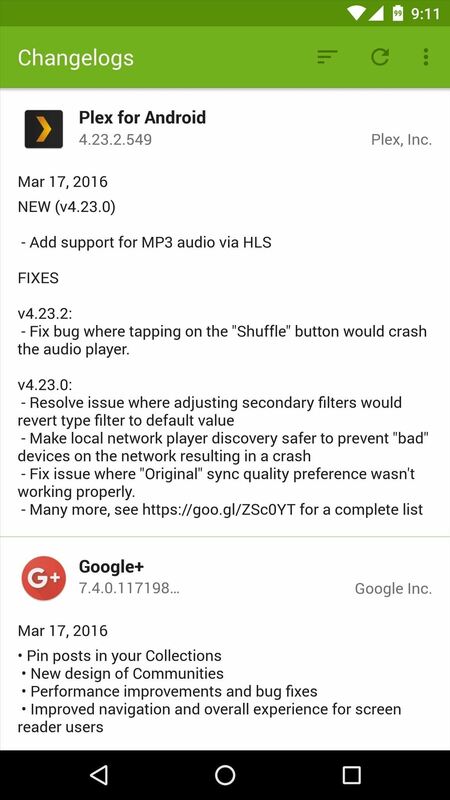 With this one installed, the next time the Play Store auto-updates your apps, you won't be caught off guard by unexpected changes. 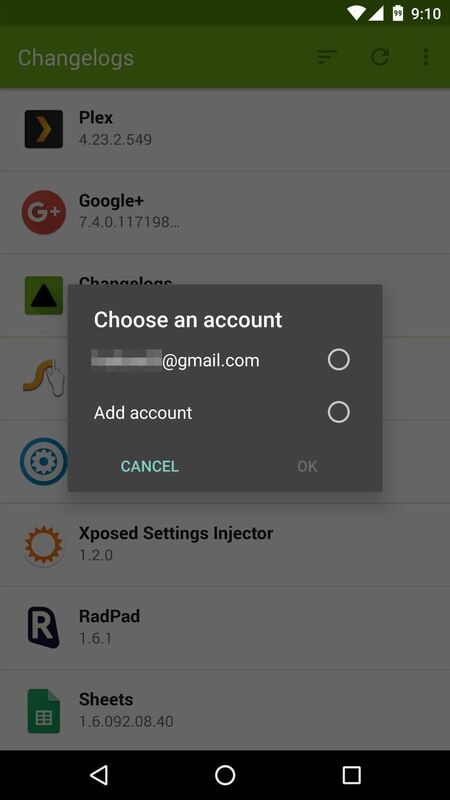 When you first launch Changelogs, the app will ask you to sign in with your Google account so that it can access your list of installed apps. So choose your primary account from the first menu, then on the following screen, press "Allow." 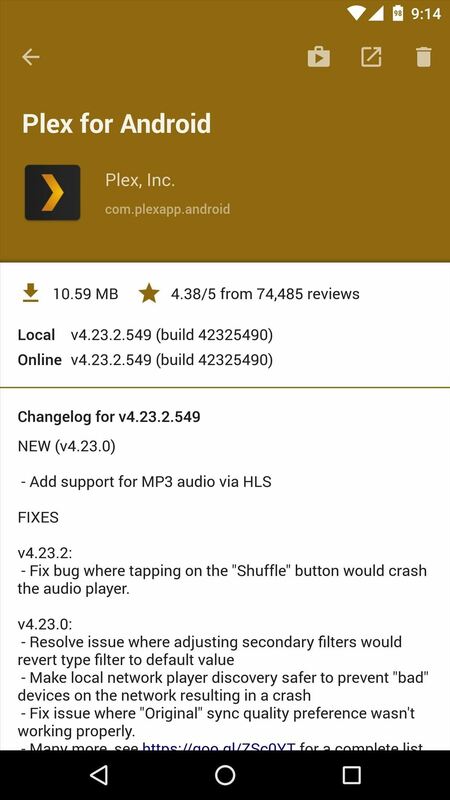 From now on, you can easily view the last few changes to all of your apps by simply launching Changelogs. By default, the list is ordered by the most recently-updated apps, but you can change this to an alphabetical list by tapping the sort button at the top of the screen. If you'd like to see even more details about recent changes to a particular app, just tap its entry in the list. From here, you'll see a page with lots of extra info, complete with clickable release note links and version numbers. You can even use the three icons at the top of this screen to open the app's Play Store page, launch the app, or uninstall the app—so it's really a one-stop shop for everything related to app changes. Follow Android Hacks on Facebook or Twitter, or Gadget Hacks on Facebook, Google+, or Twitter, for more unique and useful Android apps.